Any forex trader must apply a certain method in order to predict the future price of a certain currency, that's a given fact. 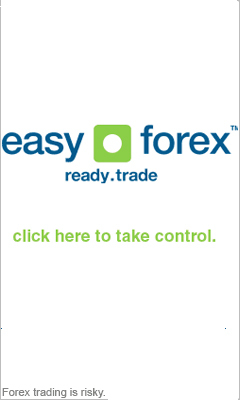 The entire concept of speculative forex trading is based upon future fluctuations in currency prices. You make profit by buying a certain currency in one price and selling by another. Therefore, the most important thing for any trader, novice or expert, is to have some sort of prediction to future price changes. Thus came to life several different methods of market analysis, each tries to incorporate different methods and data in order to give some sort of prediction to the future price of various currencies. The first method we will review in this series of articles is Technical Analysis. Technical analysis is based on the concept that it is possible to predict future prices using only market generated data. All the data and history regarding a price is represented in various charts and imply assorted methodologies. Every trader, no matter what forex trading style he uses, uses this method at some point. At the very least, these charts help to determine what the ideal buy or sell position is, at any given time. It helps to give a broader look on he trends and patterns in the market. Many critics accuse the Technicians of ignoring the fundamentals of the market, but they claim in return that all of the market's fundamentals are already represented in the charts. In their opinion any fundamental market rule is already enveloped in the current price and more importantly in the price's history.